Some even tried to get the answer to why the royal slave Kattappa killed Baahubali. New Delhi: Author Anand Neelakantan unveiled on Friday his much-awaited book The Rise of Sivagami, a prequel to the blockbuster Baahubali, along with the film's director SS Rajamouli, its actors Ramya Krishnan and Rana Daggubati while hundreds of fans of the film lined up outside the venue here. 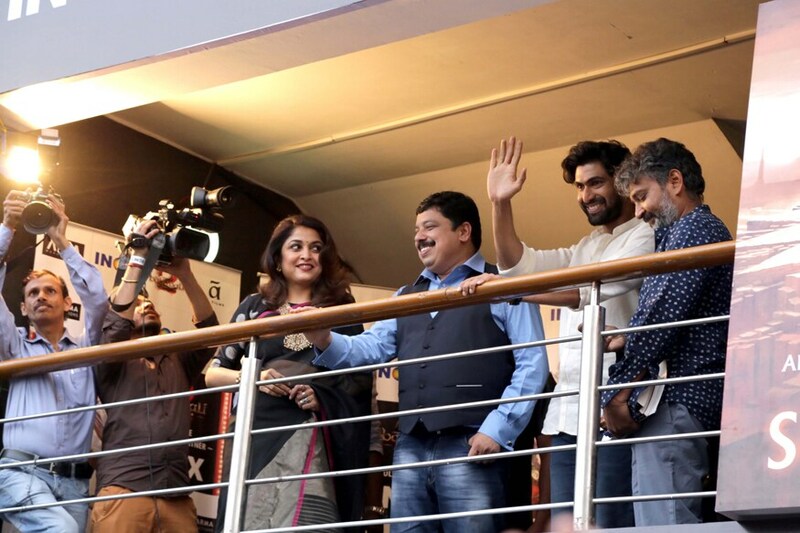 From students to officegoers, the crowd eagerly waited to catch a glimpse of the Baahubali stars in front of INOX, Nehru Place here. Some even tried to get the answer to why the royal slave Kattappa killed Baahubali. If the crowd gathered outside the venue was enthusiastic about the next part of the film, the audience inside was equally curious to know about the series of events in Baahubali 2: The Conclusion. But Rajamouli insisted the audience to wait for another month as the second part of the film will hit the screens in April. 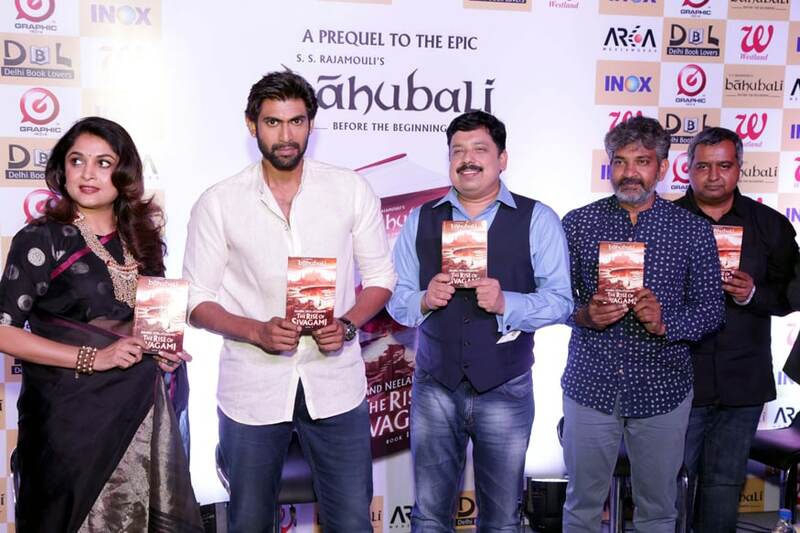 As a build-up to that, The Rise of Sivagami was launched in English. Its Hindi, Tamil and Telugu translations will be released in April. "It (the book) will enhance the experience of watching the film. It tells the story of how Sivagami becomes the most powerful rajmata in the film," Rajamouli told reporters here. It unfolds the story of the kingdom of Mahishmathi, childhood and history of Sivagami, played by Ramya in the film. "There is a sequence in the film that shows a combination of her motherhood and a warrior. The books reveal why she wants to destroy Mahishmathi. Her father was killed by the king. He was branded as a traitor or a more fashionable word would be anti-national perhaps. The entire three series will be about how she transforms," Neelakantan said. But the book is not only about the "mother Goddess". It is also about Kattappa. The author, who has penned fiction books based on the Indian epics of Ramayana and Mahabharata, said that only 10 per cent Indian stories are written in India despite having "countless stories" to tell. And "'Baahubali' trilogy is just the beginning", he promised. The book is not an adaptation of the 2015 fantasy-drama film. "It's the world of 'Baahubali'. It's not just limited to films. We have games and virtual reality series too. The great thing about this book is the characters and incidents...are just like how you wouldn't forget the scenes in the film. You will recollect them," said Rajamouli. "They are so powerful and moving," he added. 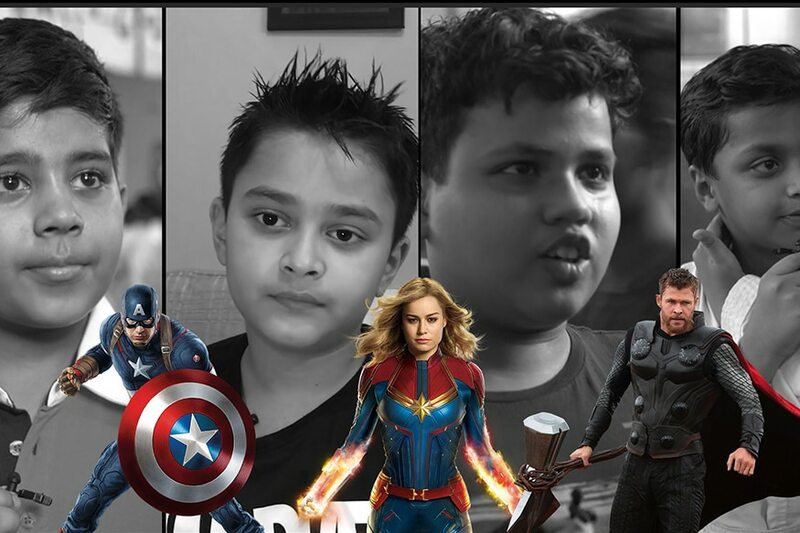 Neelakantan said that the book has more female characters and sought to explain why. "Because books are all about emotions. In the movie, 45 minutes was all about war. If I write that in 250 pages, you will fall asleep when you reach the second page itself. So, I had to create other incidents," said the author, who left his other projects, including TV shows to focus on the trilogy.